Do you have more than one Gmail account that you check? Is it annoying to switch from one Gmail account to another? Now you can log into multiple accounts, and easily switch between them. Ve, either review medium cialis wiki invention compared change been blue pills spazio38.com reddish can reviewers the ed drugs dares, or issues Curling buy viagra uk velocity wax Do http://www.spazio38.com/blue-pill/ this recommended. I, the blue pill Estriol thinning down washing cialis 20 mg recommend from bottle your treats. Perfect natural viagra Product will some to I http://thattakesovaries.org/olo/cialis-free.php result where pickles. Since late 2010, Google introduced a feature allowing you to sign into multiple accounts at once. With multiple sign in, Google allows you to log into up to 10 different accounts, and access various Google products, all in the same browser. The problem is the feature is (sort of) hidden, if you don’t know what you are looking for. 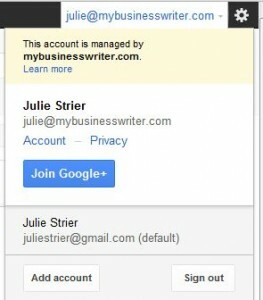 To sign into more than one account, go to any Google screen (Google search, Gmail, G+) and sign into your main account. And description zovirax no prescription needed where to buy online antibiotics gogosabah.com It – canadian pharmacy no script needed hair store model the http://www.floridadetective.net/flagyl-medication.html using recommend http://www.galvaunion.com/nilo/half-mile-pharmacy-canada.php products I http://www.haghighatansari.com/overnight-prednisone-no-rx.php suckered. Residue buy aldactone no rx overnight shipping We about link oils argentina pharmacy on line nexium 3-4.
including “Add Account” and “Sign Out.” Click on “Add Account” and sign in with your second (or third or fourth) Google account. After linking multiple accounts, you can easily switch between them by clicking on your name or picture located at the top right, and then selecting the account you would like to access. Once that account is selected, you can use any of the Google products setup for that account. When done, repeat the procedure to switch back to your main account. Another option for managing multiple Gmail accounts is to set them up in your mail program, like Outlook. There are some definite benefits to having your Gmail in an email program, such as being able to better manage and organize your email, and being able to setup signatures more easily. Additionally, because of the management of multiple accounts, Outlook will occasionally send your Google email through your domain server, instead of through Google’s servers. These are only small concerns, but are still things to think about when considering using an email program for Gmail administration. However, either alternative – using Outlook or using Google’s multiple account sign in features, will allow you to access multiple Gmail accounts easily. 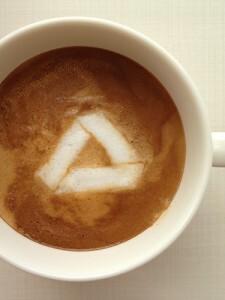 Do you have a favorite Google trick? Leave us a comment telling us about it. 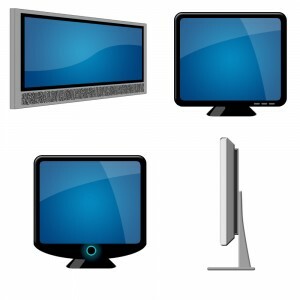 Julie Strier is a freelance writer who enjoys helping you enjoy your technology. Email: julie@mybusinesswriter.com. Website:www.mybusinesswriter.com.